As the costs of education and housing rise for UK’s artists, so does the cost of studio space. 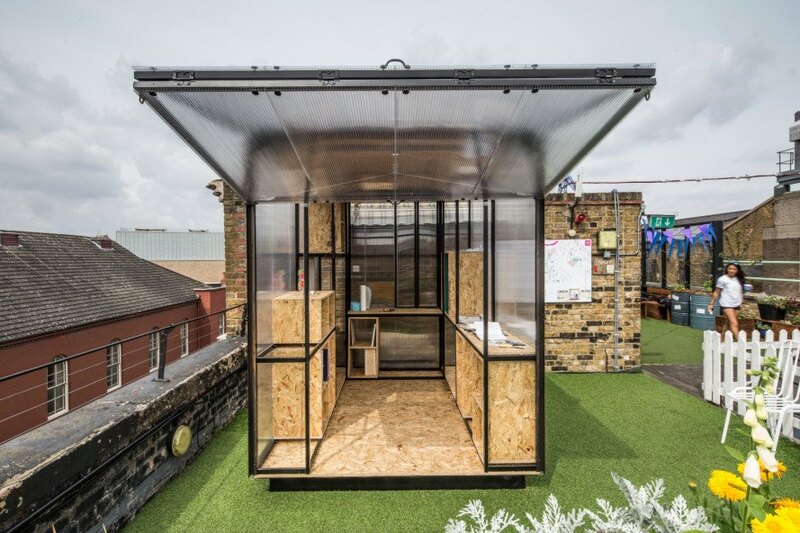 Architects Tomaso Boano and Jonas Prišmontas presented a pop-up studio at the London Festival of Architecture last month meant to both challenge this uphill battle and give people a versatile, alternative space to create their work. 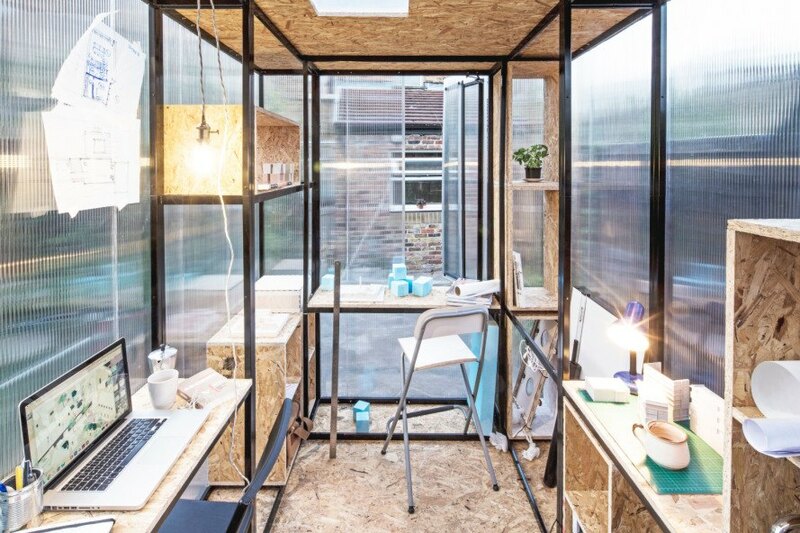 The Minima Moralia pop-up studio asks the question, “Will London still be the capital of creativity, arts and crafts in 10 years time?” The pair points out that soon only the independently wealthy will be able to afford the necessary means to be a productive member of the creative industry, as rental fees and training costs soar. Their studio could serve as a beginning to more affordable and accessible creative spaces. Inspired by Theodor Adorno’s commentary on the “damaged lives” of London’s artists, the studio challenges its inhabitants to simplify their necessities in the tight quarters, yet also draw influence from the surroundings. Described as a type of “urban acupuncture,” the studios target and revive areas in the city most typically discarded or ignored. A modular steel frame is the starting point for the studio’s design, allowing a variety of different window, shelving, and desk configurations. A folding canopy completely opens up one side of the space, while a smaller vertical window gives an at-home feel to the artist inside. Bright sun or stars can filter in through an overhead skylight, furthering the connection to the space and inspiration outdoors. The pair points out that soon only the independently wealthy will be able to afford the necessary means to be a productive member of the creative industry, as rental fees and training costs soar. Their studio could serve as a beginning to more affordable and accessible creative spaces. Inspired by Theodor Adorno’s commentary on the “damaged lives” of London’s artists, the studio challenges its inhabitants to simplify their necessities in the tight quarters, yet also draw influence from the surroundings. Described as a type of “urban acupuncture,” the studios target and revive areas in the city most typically discarded or ignored. A modular steel frame is the starting point for the studio’s design, allowing a variety of different window, shelving, and desk configurations. A folding canopy completely opens up one side of the space, while a smaller vertical window gives an at-home feel to the artist inside. Bright sun or stars can filter in through an overhead skylight, furthering the connection to the space and inspiration outdoors. Minima Moralia Studio by Tomaso Boano and Jonas Prišmontas.